Debt settlement is a process by which a company negotiates with a consumer's creditors to agree upon a lump sum pay off for a reduced amount to achieve full settlement of debt. The negotiating company attempts to get the creditor to agree to lower the monetary amount of the debt. Then the company settles and pays off the lump sum amount agreed upon. Once the lump sum payment is received, the creditor reports back to the Credit Bureaus that the consumer or debtor no longer owes them anything. Debt settlement is a program often used by debtors who owe large credit card bills, however, debtors who owe medical bills, repossessions, personal loans, department store debt, and other kinds of debt may also qualify for debt settlement. Debt settlement companies normally require that the debtor have a certain amount of debt to be helped by the services, for example, a minimum of $10,000 in credit card debt. There are times that other requirements or conditions the debtor must meet to take part in a debt settlement program. The company that is offering the debt settlement program will tell you what those conditions are. Some debtors wonder if debt settlement should be an option they should consider. There are some general signs which should help the debtor determine if debt settlement is a good option for them. Some of these general signs include: The debtor is using credit cards to pay for things that they used to use cash for such as gas or groceries, the debtor has more than three credit cards and their credit card debt is fast approaching twenty percent of their income, the debtor is making minimum payments on their credit cards and barely able to keep that regimen up, or the debtor has begun to receive collection calls. All of these are general signs that a debtor should consider using debt settlement as an option available to them. 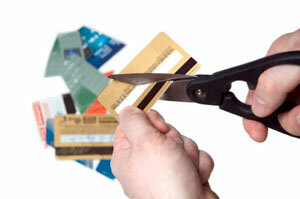 Debt settlement is just one option available. Some debtors may find they benefit more from credit counseling then debt settlement. The difference between the two is that debt settlement works to negotiate a reduction in the dollar amount of the debt, whereas credit counseling will work to reduce the interest rates of the debt owed. Debt settlement, in general, is the more aggressive approach of the two options. Debt settlement is often a good choice for those consumers who do not want to go the more permanent and financially damaging route of bankruptcy. Debt settlement is a solid choice when it comes to choices for debt relief. Debt settlement can help a consumer to reduce their debts and be out from under large balances in a shorter amount of time.